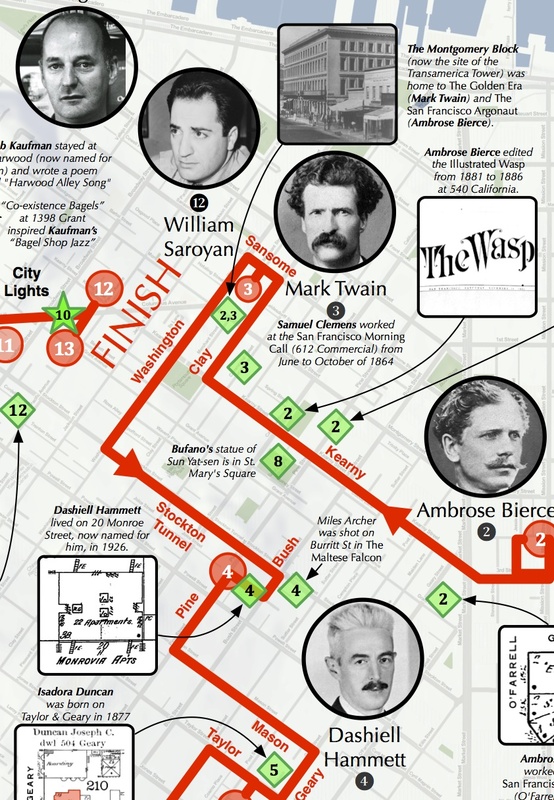 Bikes to Books Maps Available! Bikes! Books! Maps! History! 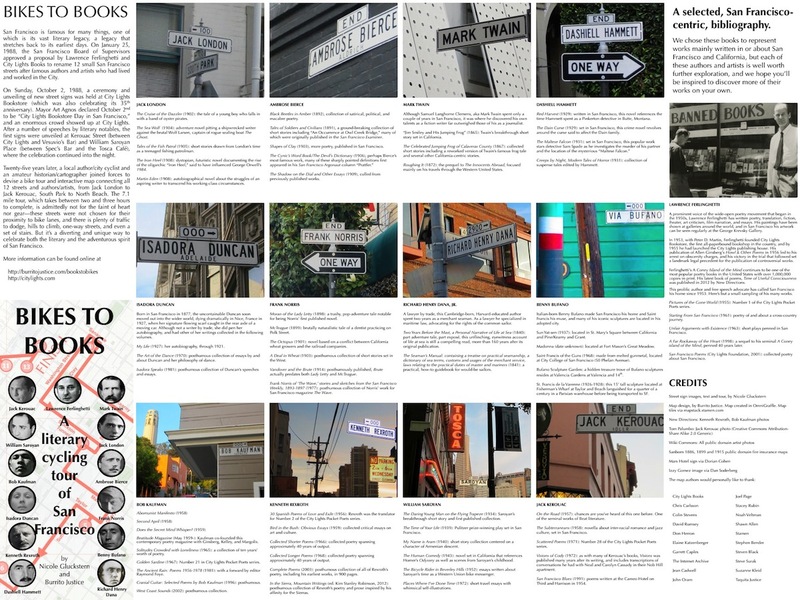 If you or someone you love (or someone you want to impress) likes at least 3 of the 4 of these topics, you are the target demographic for the Bikes to Books map that I made with Nicole Gluckstern in conjunction with City Lights bookstore. 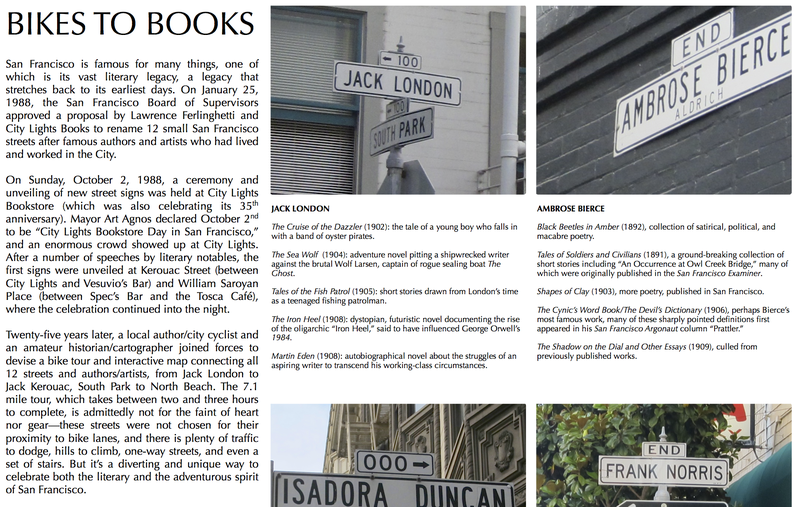 It shows the 12 streets that the SF Board of Supervisors renamed after authors and artists 25 years ago. Think of it as a 24″x18″ double-sided Burrito Justice history post. If you wish to become a select distributor, please contact us at maps dot burritojustice dot com. And we are looking into shipping options for those outside the Bay Area. And stay tuned for a bar-based map distribution event in the very near future, in time for Christmas! I must do this on my next trip to the Bay Area. Thanks for sharing!